Is There a Monster Living in Your Bed? Where does that all end up? In your mattress of course. And unless you have some amazing wizarding skills, and can shrink your mattress down to the size of a loaf of bread, and can throw it in the washing machine -- Then all of that is trapped in your mattress forever. A whole legion of nasty, creepy, crawly things feed on this gunk that ends up in your mattress. Things like dust mites, bacteria, and bedbugs. 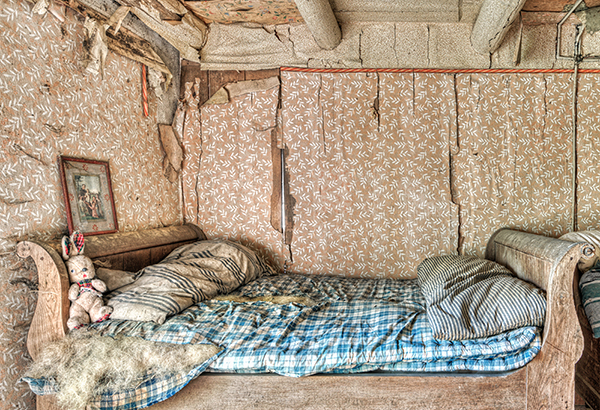 Dirt, dust, and pollen inevitably find its way into your bed. No matter how clean you are. It's not just the thought of these creatures crawling around in your bed that can keep you up at night. Dust, pollen, bacteria, dust mite feces, and dirt can cause breathing and skin irritations that prevent you from getting your best night's sleep. No matter how great your mattress is... or was. 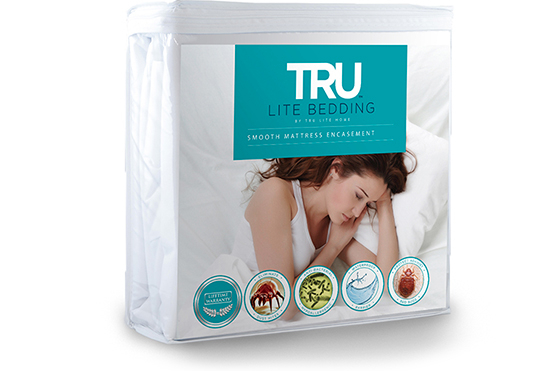 TRU Lite Mattress Encasements are waterproof, to keep sweat, oils, urine and spills out of your mattress. The mattress encasements are zippered enclosures that protect every surface of your mattress and locks out any bed bugs so that they will not be able to infest your mattress. They are also breathable. That means you will not sleep hot on them. They have been carefully designed so that they are noiseless and will not have any crinkly or plastic sounds when you are using your mattress. TRU Lite Mattress Encasements are easy to remove and are machine washable, so that you can always keep your mattress clean and sanitary. You will sleep cool and comfortable without any breathing or skin irritations. Because our sleep effects everything from memory, metabolism, mental health, and has even been shown to influence how much money we earn. You will begin to notice significant benefits in all areas of your life. We want to improve your sleep. TRU Lite is committed to helping you get your very best night's sleep. Because lack of sleep can cause depression, weight gain and loss in mental cognition. All TRU Lite products are carefully selected to help you get the best night's sleep.